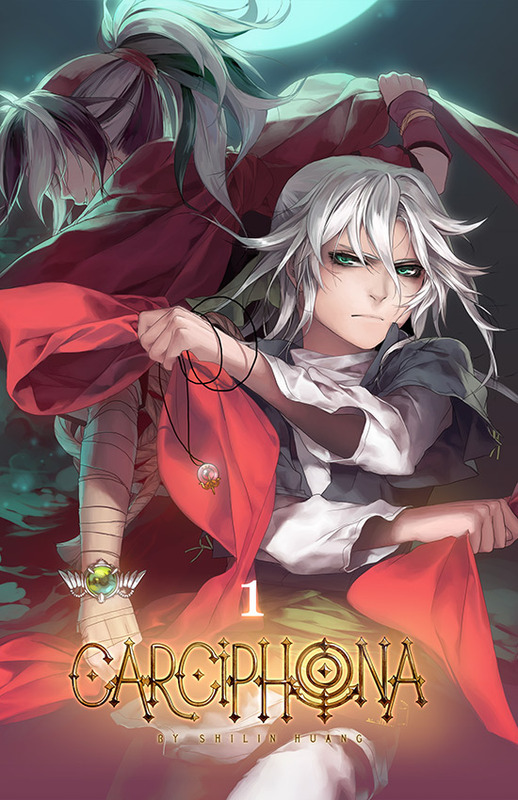 Carciphona is a fantasy manga, written, drawn, and self-published by Shilin. 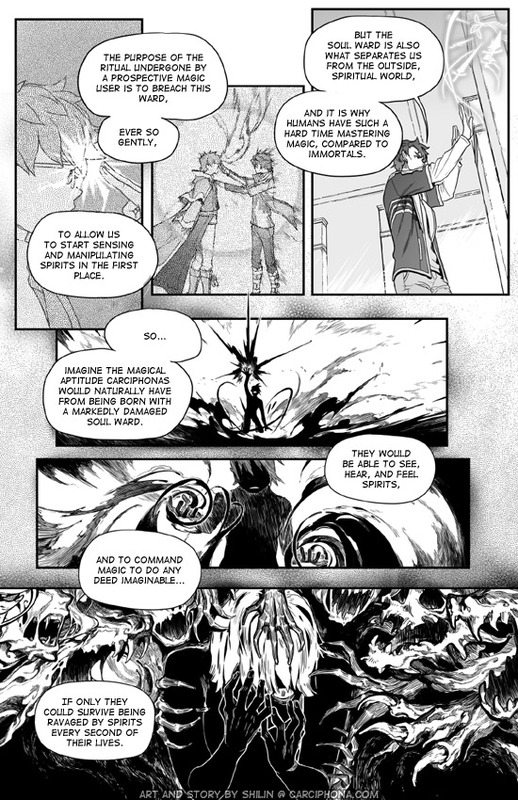 Currently at volume 7, updates are posted once a week on Mondays with 2 pages. The fairy of Medrisen nearly captures Veloce’s soul with her song, only to be stopped by Veloce’s long missing servant, Vocruen. Furious from being once again denied what she coveted, the fairy unleashes her influence as a necromancer, threatening to pave the way to her goals with the corpses of all who still draw breath.